The Pittsburgh Steelers remain in need of depth at the running back position, considering the fact that the Stevan Ridley experiment of last year was ultimately catastrophic. Finding a third-stringer in free agency would prove to cost the organization more than they bargained for, meaning that it appears that our only option of plucking another back out of thin air must come from the 2019 NFL Draft. 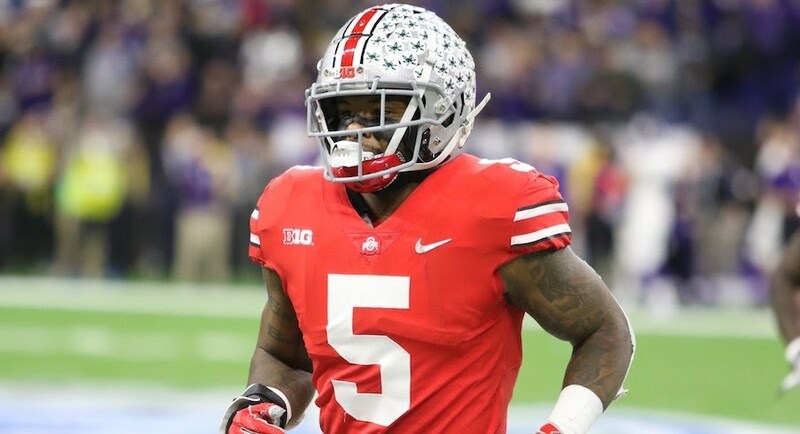 With that in mind, perhaps the Steelers should eye Ohio State RB Mike Weber. – Weber majored in sociology. – Big Ten Thompson-Randle El Freshman of the Year Award winner (2016). – Has met with the Steelers organization. Rushing: 172 attempts for 954 yards (5.5 ypc), 5 rushing touchdowns. Recieving: 21 receptions for 112 yards (5.3 ypr), 1 receiving touchdown. Height & Weight: 5’9.5”, 211lbs. Weber’s speed is arguably his best asset, which he couples exquisitely with solid hip movement and shiftiness, whilst adopting a low-center of gravity. He demonstrated an ability to exclude himself from traffic on run plays, which is a credit to his elusiveness and agility to be able to avoid oncoming tacklers. He also possesses an absolutely WICKED stiff arm. In addition, he has utilized a variety of flair moves, including a couple nasty spin moves. One of the more intriguing aspects of Weber is his size. I will say that he should add some pounds to his slender frame, but he does outplay his size at times, often displaying an ability to fend off tacklers and even continue running after a tackle. As is the duty for most third string backs, Weber has experience playing special teams, as he compiled 143 yards on 9 returns in the 2017 season. Furthermore, Weber has been constantly improving as a pass-catching back, as his statistical production in that department has ascended organically. This is mirrored in his route-running also. Of the tape I have witnessed I have determined that Weber’s blocking ability is fairly adequate. His technique appears to be rather solid, but again, he needs to add some bulk to his stature. Must be more cautious with his ball security; a few times he was open to have the ball snatched from his arms. His statistical production in his Junior year wasn’t overly impressive, given that he complied 4 fewer rushing touchdowns in 2018 than he did in 2017 and 5 fewer than he did in 2016. On top of that, he produced his worst yardage per rush in the 2018 campaign also. Despite his improvements as a weapon outside of the backfield, Weber must improve his hands, as he dropped several passes last year. As aforementioned, he’ll have to bulk up his frame in order to contend with more advanced athletes at the next level. Weber isn’t someone who “wow”s you physically or athletically, that much is true. He could certainly improve elements of his game, most integrally his production and size. That said, he is entering the NFL with a solid skill-set, good speed and the ability to block, all of which are admirable attributes. 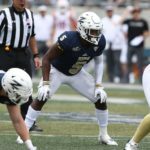 Upon investigation of all the evidence, I believe that Weber’s talent grade is probably fourth round worthy, but his reputation as a starter at a big school like Ohio may help swing the pendulum of an NFL franchise to pick him up earlier in the 2019 NFL Draft. He would fit the Steelers need of a third running back option. Projection: Early – Late Fourth Round. Games Watched: Michigan (2018), Michigan State (2018), Washington (2018), Indiana (2018) & Michigan (2017). Credits: sports-reference.com, YouTube, ohiostatesports.com & elevenwarriors.com (image).